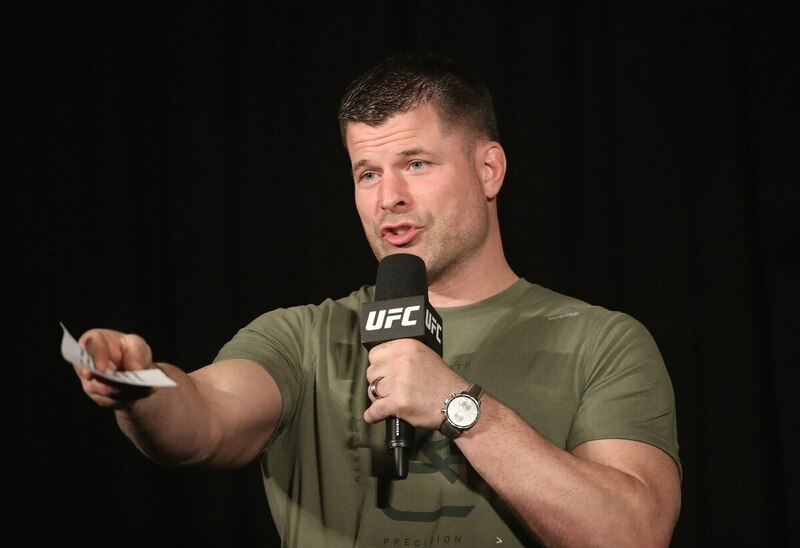 Brian Stann, who earned a Silver Star while commanding Marines in Iraq before becoming a professional mixed martial arts fighter and commentator, will step aside from his UFC commentary duties to tackle new career opportunities, he said in a Monday social media post. Stann graduated from the Naval Academy in 2003. His Silver Star came for his actions while his unit battled insurgents for control of a bridge north of Karabilah, Iraq, in May 2005. ”Second Lieutenant Stann personally directed two casualty evacuations, three vehicle recovery operations and multiple close air support missions under enemy small arms, machinegun and mortar fire in his 360-degree fight,” per his award citation. He began his pro MMA career while on active duty, carrying the nickname ”All-American.” Stann retired in March 2013 after a knockout loss to Wanderlei Silva, having compiled a 12-6 record. A linebacker at Navy, Stann entered the college football broadcasting booth shortly after leaving the octagon, providing color commentary on regional Atlantic Coast Conference broadcasts for Fox Sports South. He’s done studio and ringside broadcasting work for UFC broadcasts, earning positive reviews from the start. Since 2008, Stann also has served as president and chief executive officer of Hire Heroes USA, a nonprofit that provides career guidance and employment resources to service members, veterans and military spouses.